An engineering manager whom I worked with twenty-five years ago challenged me one day, “You know, Bruce, if all employees were engineers, you wouldn’t need mistake-proofing.” At the time, I was too stunned by his comment to even respond. But happily, the memory provides good fodder for another post. There persists a notion today in some quarters that persons with college degrees, in particular technical degrees, have cornered the market on smarts – and value. When, in 1959, Peter Drucker predicted the rise of “knowledge work” and the concurrent demise of manual work, I think he might have inadvertently led American manufacturing down a knowledge worker rat hole, one where manual work, or in fact any kind of work involving production, became burdensome to our great culture. Drucker’s prophecy may have been self-fulfilling, as American manufacturers raced to find ways to replace manual labor with automation. In the 1990’s for example, General Motors spent $90 billion (yes billion) on robots, conveyors and computers in a failed attempt to supplant manual work. I wonder how they calculated the ROI. US manufacturers have spent the last twenty-five y ears off-shoring their burdensome manual work. In a perversion of Drucker’s prediction, American manufacturers have largely ignored the “making” part of business, preferring to ‘innovate and incubate.’ This is their definition of knowledge work. Products can be born in the US, but they quickly migrate to other countries and grow up there to be improved by so-called manual workers. The alluring promise of this kind of knowledge work fits well in to high tech marketing and sales plans like this one, but it obscures the holistic nature of manufacturing. 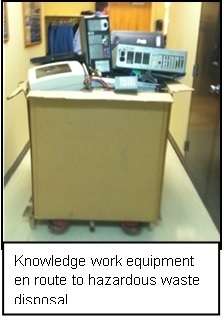 In my world, all work is knowledge work. How about in yours? Are you following General Motors’ innovation concept or Mazda’s? Send me a comment. BTW – There’s still plenty of time to sign up for my free webinar on Tuesday, February 11, from 3:00-3:45 p.m. EST. The topic is “Tips for Manager Gemba Walks”. Hope you can join me. Click here to register. You can learn about all of GBMP’s public lean training events here – from benchmarking Plant Tours to Lean Accounting Workshops, Six Sigma Green Belt Certificate programs and more. Hope to see you soon! This entry was posted in Old Lean Dude and tagged continuous improvement, engineer, GBMP, ideas, kaizen, knowledge work, lean accounting, lean manufacturing, MIT, off shoring, peter drucker, production on February 3, 2014 by GBMP. Good Witch or Bad Witch? “So, what is a good accountant?” I asked. “So then, what’s a bad accountant?” I asked. “I wouldn’t have the time to describe that right now,” Tom replied. Reads reports and computer screens (and the Wall Street Journal.) No direct observation. Sees him/herself only as a scorekeeper. Takes no responsibility for business performance. Understands accounting only. Does not take time to understand other functions or the business as a whole. Sees accounting as a rigid science. Follows GAAP standards without question. Heard saying: “The auditors will object.” Is quick to object to new ideas and uses the auditor threat to quell objection. Thinks that a positive inventory variance offset by a negative variance elsewhere is good enough as long as the net is zero. Believes that shipment spikes at the end of the month occur because production only works hard at the end of the month. Slashes inventory requisition quantities as a means to reduce inventory. Encourages inventory run down at period ends to improve turns. Thinks that set-up reduction means amortizing long set-ups over similar parts. Treats inventory as an asset and employees as a variable expense. These are just a few traits that come to mind. Can you add others? 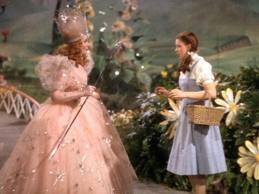 Is your accountant a ‘good witch or a bad witch?’ Let me hear from you. BTW: Only 111 days until the 2013 Northeast Shingo Conference. This entry was posted in Old Lean Dude and tagged bruce hamilton, gemba, lean accounting, lean manufacturing, SMED, Toast Kaizen, toyota production system on June 5, 2013 by GBMP. Significant digits, the number of digits to the right of a decimal point that are warranted by the accuracy of the means of measurement, are a critical part of scientific investigation. In developing products and services, the concept is essential. For example, how many products have failed to “delight” customers because of tolerance stack-ups on component parts? And how many of those components have failed to meet spec because the significant digits of the design did not match the capability of the production process? In these cases, the number of places to the right of the decimal point is very significant. But in many cases, the accuracy of our measures is insignificant. Take, for example, the price of gas at the pump. 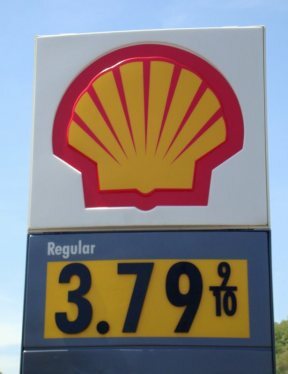 Why not $3.80 per gallon instead of the mixed decimal and fraction rendering shown in the sign to the right? The answer is that in the 1930’s when gas price was 10-9/10 cents per gallon, (equal to about $1.40 per gallon today) a penny was worth ten percent of the price of the gallon – pretty significant. The fractional price derived from an attempt by retailers to minimize the cost at a time of gross oversupply. Today the condition is reversed; the third digit, and arguably even the second is not significant at all, at least not in a practical sense. So it is with allocation accounting, another measurement system mostly developed during the Great Depression. According to management accounting expert, Brian Maskell, “the bulk of current accounting methods formalized in 1930’s has changed very little since.” A highly subjective cost accounting allocation scheme, for example, spread “insignificant” amounts of 1930’s overhead over labor cost. Even then it was at best a rough approximation intended to recover the cost of non-production resources.. Today that once-insignificant figure amounts to a gigantic lever on relatively small labor amounts. Overhead multipliers, once just small fractions of labor cost, are often two to three times the cost of labor today. Call this an unintended consequence of the second industrial revolution. In the words of Eli Goldratt, “traditional cost accounting is “precisely wrong.” However significant the number of decimal points on a labor time may be from a scientific context, they are worse than insignificant in the bigger picture. Yet many organizations continue to scrutinize value-added functions to four decimal places while ignoring huge non-value added wastes. Make versus buy and pricing decisions based only on this model are as relevant as the 9/10¢ at the gas pump. The difference is that gas pump prices, while confusing are essentially harmless, while traditional management accounting decisions are killing American business. What other insignificant digit examples can you cite? Won’t you please share them. This entry was posted in Old Lean Dude and tagged 5S, automation, Brian Maskell, cost accounting, GBMP, hoshin kanri, inventory, kaizen, lean accounting, lean manufacturing, made in america, muda, mura, Muri, optimization, poka-yoke, shigeo shingo, Toast Kaizen, toyota production system, TPM, TPS, true north, value stream mapping on July 12, 2011 by GBMP.